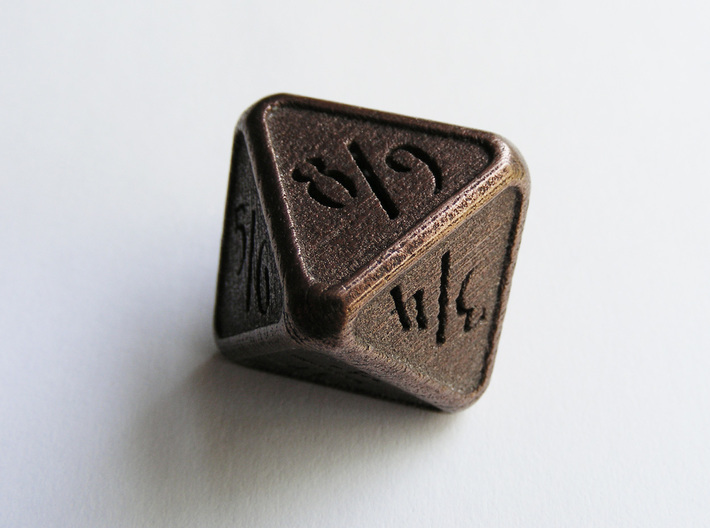 This is a die that can be used to keep track of the power and toughness of Tarmogoyf and other similar Magic: the Gathering creatures. 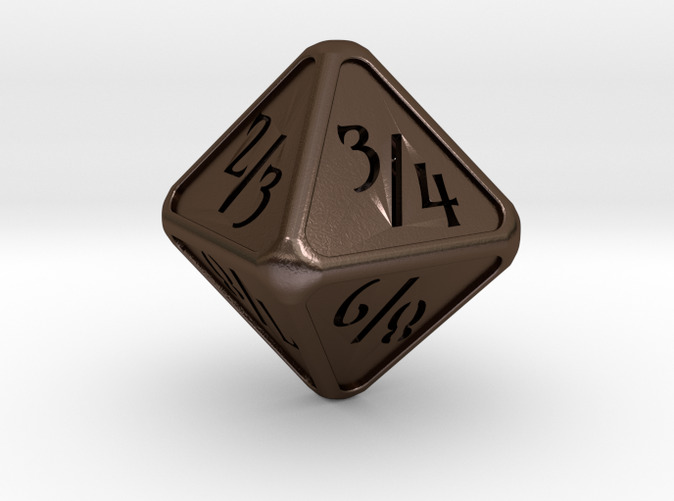 The height of the die is 25 mm (1''). 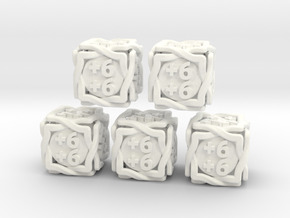 To save on material the dice is hollow. 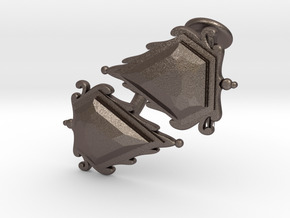 This means that it will be very light when printed in plastic, so this design is best suited for metal. 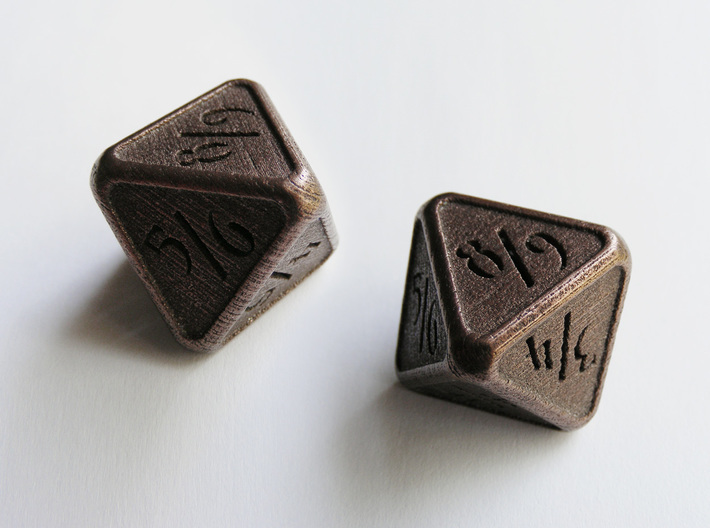 The numbers on the sides of this die are openings into the hollow interior, which makes for a very nice effect. 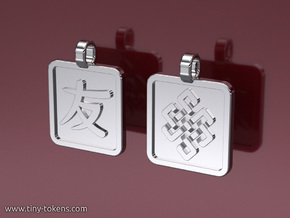 Great care has been taken to ensure that the die is balanced and gives a fair roll. 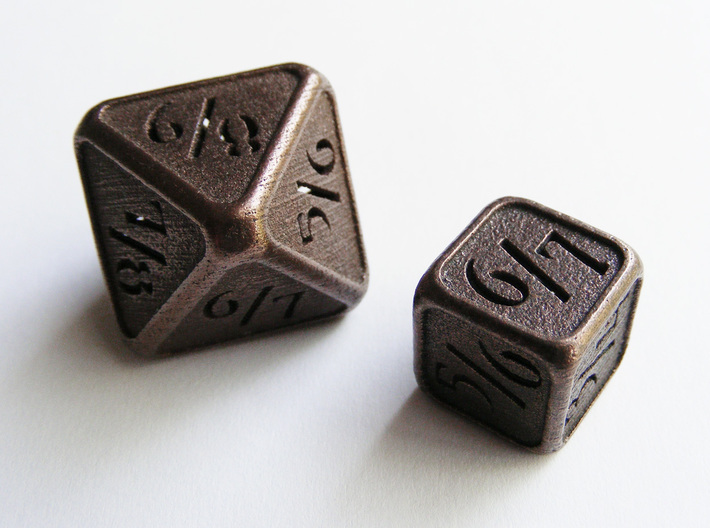 The steel versions of this die weighs about 15.5 grams. This gives it a nice solid feel and roll. It also ensures that is stays put on your card better. 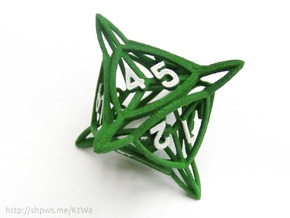 For a six sided die in this same look, as well as several other Tarmogoyf and other MTG dice, please have a look at the Magic: the Gathering category in my shop.